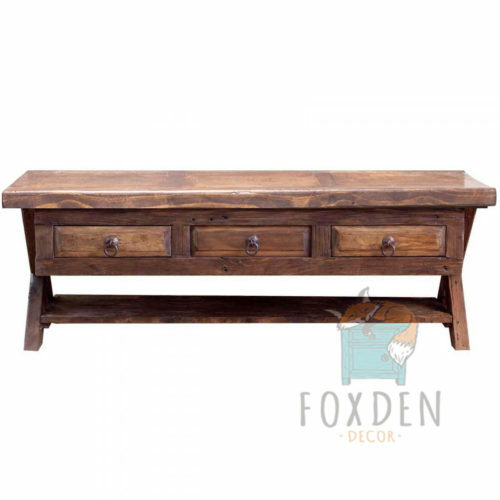 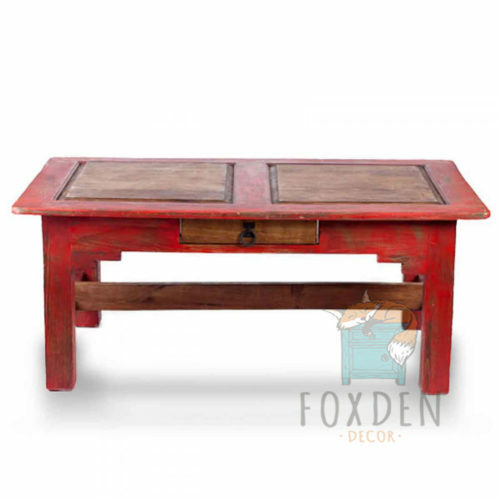 Our Blanco reclaimed coffee table is named Blanco because it is crafted from a white reclaimed barn door found in old parts of Mexico. 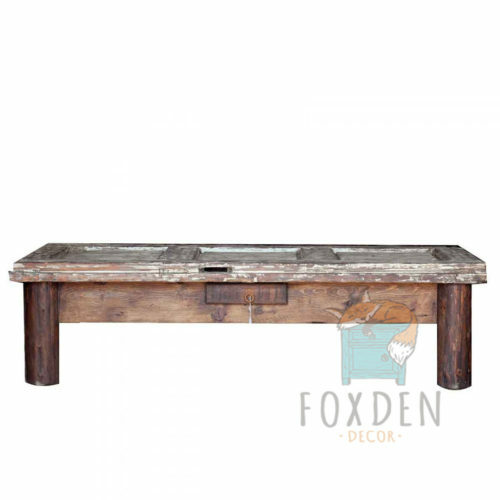 The legs are left unfinished and made from a collection of old reclaimed wood which makes this piece extremely unique and one of a kind. 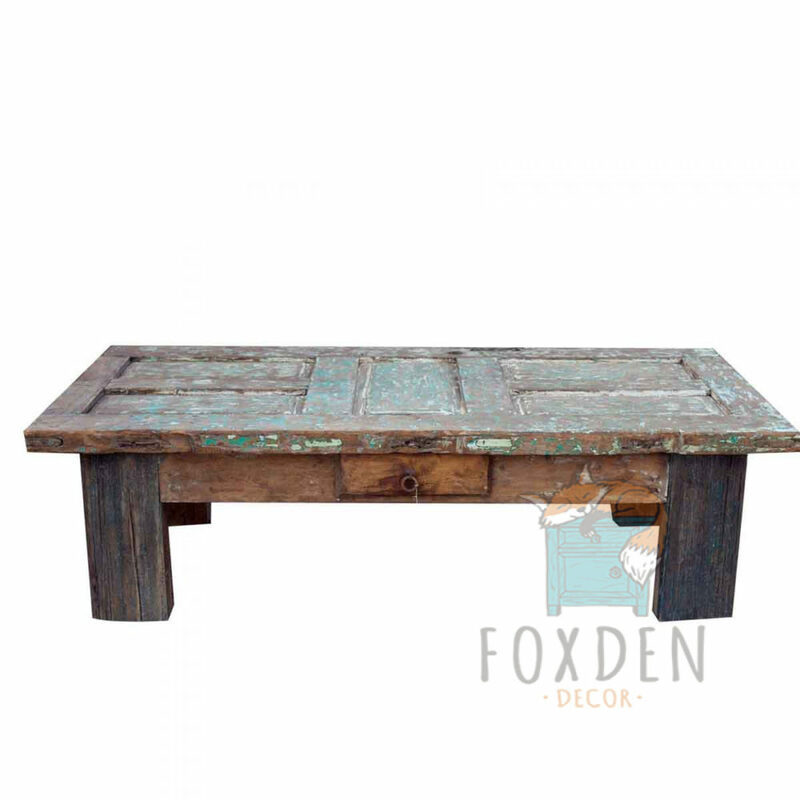 Every door top table is completely different, so please keep this in mind when purchasing. However, we will do our best to get the dimensions as close as possible.